Nokia and Microsoft – two drunks at the end of the party? Wind the clock back 10 years and the picture was very different. 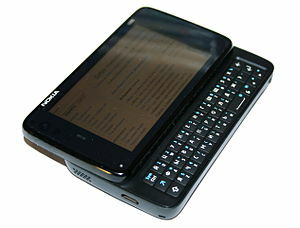 Nokia was dominant in the phone market and Microsoft held a similar position in the desktop/laptop market. The first Windows-powered smartphones were being released, but they were incredibly complex (I know, I had an Orange SPV), essentially transferring the desktop Windows experience to the mobile world. There were a whole raft of other mobile handset providers that have since disappeared or lost their independence – Motorola (now owned by Google), Ericsson, and Siemens. Two things changed all this – Apple came along and made smartphones easy to use without losing their power and in a linked move, the world embraced mobile with the growth of 3G and wifi. As the existing market titans, with enormous user bases, Microsoft and Nokia couldn’t evolve fast enough to change their business models. The same process happened in previous waves of computing as the world moved from mainframes to mini computers and then PCs; few CEOs have the guts to bin their existing cash cow and launch a radically different business. So could either of them have done things differently? I’ve talked before about Microsoft’s disastrous attempt to innovate with Windows 8 but you can argue that it didn’t invest enough in mobile early on. If it had combined ease of use and access to compelling content with the power of the SPV (which was heavily subsidised) and made it less ugly it could have had a chance of pre-empting Apple’s rise. But it never seemed to be a priority. And Nokia again seemed to view smartphones as a niche market until very late in the day, focusing on the Communicator which was a high end business tool rather than a consumer-friendly device. All this means the combined unit has a tough job on its hands and is going to have to focus heavily on innovation and marketing to succeed. Ironically given Apple’s perceived lack of innovation and BlackBerry’s woes there is chance to seize the challenger position and become the quirky, cool alternative to Samsung and the iPhone. This does mean being brave and creating something radical that shakes up the market. Microsoft couldn’t do it with Windows 8 – so can an injection of Finnish thinking make the difference?